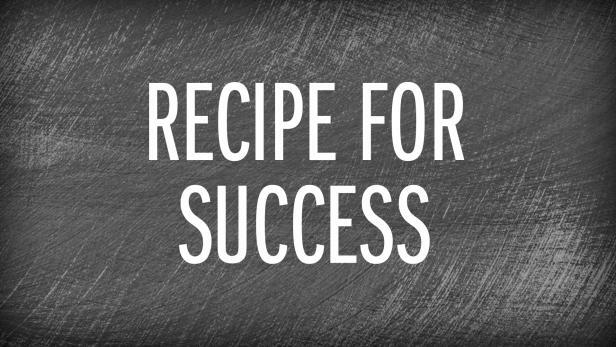 Recipe for Success - Codeholic IT Services Pvt. Ltd.
Goal setting, Idea, Desire to learn, Positive attitude, Planning, Responsibility, Efforts, Market vision, Try your best, Encouragement, Sportsmanship, Hope, Imagination, Respect for others, Teamwork, Cooperation, Challenges, Focus, Communication, Patient, Some fun, Smiles, Life loving. 1) Pick up your area of interest from the bucket. 2) Set it up as your goal and chop that goal in term, short term goal into long term goal. 3) Get ready to learn, always put your best efforts to learn new things. 4) Spark up your imagination high & cook up your idea with full enthusiasm & determination. 5) Try to find the audience taste regarding your idea and then start implementing it. 6) Keep your attitude always positive & be patient till your idea is cooked perfectly. 7) While cooking, some ingredient quantity can be more or less, don’t lose hope, show your sportsmanship. Don’t give an inch until the final buzzer sounds. 8) It seems your recipe smells really good, confidently go for it. 9) Once your idea is ready to serve, encourage the hungry audience to taste your amazing idea. 10) Keep communicating with the audience about your recipe to know their feedback. 11) Cook up your recipe responsibly & keep adding new texture into it. 12) Keep focusing, keep cooking. In meanwhile enjoy your life too. Don’t forget to share, a success is always better when shared, so pass it around.